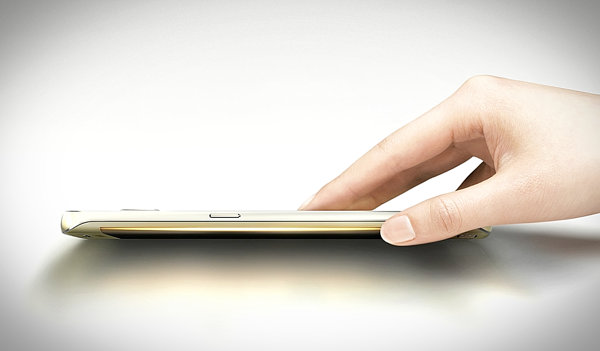 The Galaxy S6 Edge is without a doubt a head turner for Android users. With its distinctive metallic aesthetics and beautiful curved display it’s undoubtedly one of the current Android powered devices that is in demand the world over. Also, what’s great about the S6 Edge is that Samsung had the foresight to use the extra display to provide intuitive notifications utilizing the color spectrum to alert users to different events. Jealous much? Well now you don’t have to be thanks to a new application that offers similar functionality to all compatible Android smartphones. 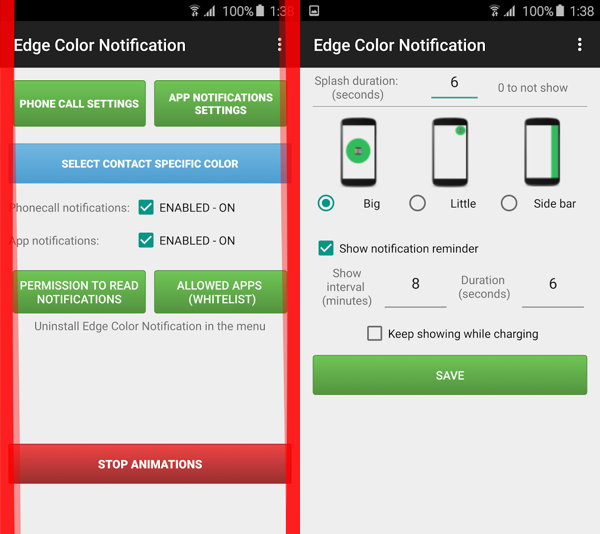 ‘Edge Color Notifications’ essentially exists to “emulate” the Edge Lighting feature that exists on the Galaxy S6 Edge. 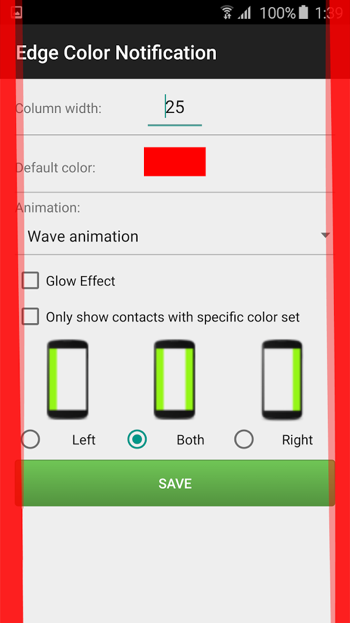 The simple but effective app allows users to display vibrant colored bars at the side of the device’s screen when incoming calls are detected and passed through to the phone. One of the great things about the app is the customization abilities that allows for the colored bars to be changed in size, and of course, change in color itself to suit the user’s taste. Different colors can also be assigned to different contacts so the user can immediately identify who is trying to contact them. The developer of the app, known only as Golgorz, promises that the app is extremely lightweight and doesn’t have any hidden nasty surprises like memory hogging or significant drains on the battery. There also exists the ability to set different animation styles featuring various glow effects as well as receive different colored glows for various app notifications that are installed on the device. Like a lot of Android apps of this nature that hit the Play Store, it’s still defined as a work in progress, meaning that hopefully in time it will become more reliable and more feature heavy. Suffering from a touch of the little green eyed monster can be a terrible affliction to try and overcome, so if you are jealous of your Galaxy S6 Edge owning friends, but don’t want to part with tons of cash just to get your hands of the Edge Lighting functionality, then this little beta app could potentially go some way to alleviating the jealousy. As it’s still in an initial beta stage, expect a lot more to come from this little utility in the near future.